We know what you're looking for, and we deliver! You want accurate, readable transcripts returned within 24 hours each and every day. You expect excellent customer service. You demand HIPAA and HITECH compliance. And you want it all at a competitive price. With Triad Transcription, you can rely on dependable, quick turnaround, professionally drafted reports, unparalleled customer service, and state of the art, cutting-edge security, all at a competitive price. We think over 20 years in the business speaks for itself. "Always helpful, prompt, and concerned for giving the best service. The dictation is always accurate. They put in the extra effort to make it right. I would highly recommend Triad Transcription." Robert W. Elkins M.D., C.I.M.E. "Triad Transcription has been a reliable and consistent resource for our practice for many years. They have helped us control our costs while maintaining flexibility to address the seasonal aspects of our specialty." "I have been a very satisfied customer since 2007. 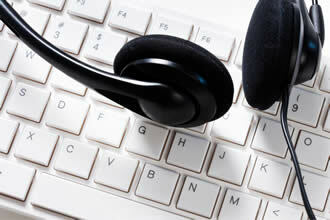 The staff is always available by phone or email to handle any concerns that may arise. Finished dictations have always been completed accurately and in a very timely manner. The uploading and downloading of data could not be easier. Triad Transcription make this aspect of my practice something I just do not have to worry about." "Our practice has been using Triad Transcription for a number of years and is very pleased. The turnaround time is excellent. I highly recommend them for your transcription needs." "Prior to using Triad Transcription we had our secretary typing after hours. A real nightmare! Then I found Triad Transcription and have been pleasantly surprised at the speed at which they caught on to our special verbiage and abbreviations… and the dictation is done within 24 hours, many times sooner! The transition to their online data sharing process has been seamless."